This week's gospel lesson is one in a collection of episodes where scripture draws a comparison and distinction between what is inside and what is outside a person. David is chosen over his brothers because God looks on the heart. The tax collector's prayer is praised over the Pharisee. Mark 7:1-23, the gospel reading for Proper 17B/Ordinary 22B/Pentecost 14, is the occasion for Jesus to draw a comparison between legal washing requirements and what makes a person clean: the things that come out are the things that defile. The contrast between inside and out can be seen in many ways. In the organic earthiness of a tulip bulb is the ethereal balance of the flower. Who could imagine that the stony roughness of a geode's exterior would give way to the light refracting crystals on its inside. Some Christian church buildings offer the lesson of not judging a book by its cover...or a worship space by its exterior. 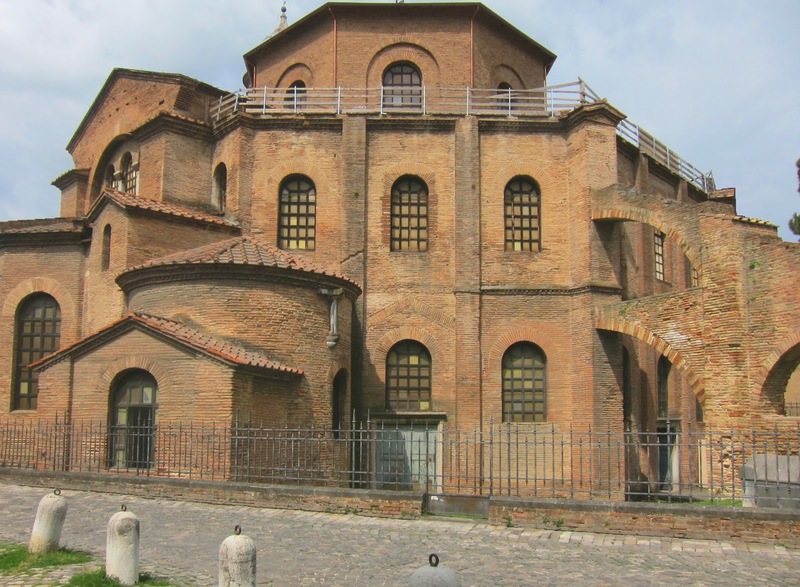 The church of San Vitale in Ravenna, Italy, offers insight through the contrast of interior and exterior. Church of San Vitale, Ravenna, Italy. Groundbreaking 527; consecrated 547; completed 548. The exterior of the building is rough, largely unadorned brick. Neutral in color, the bricks are laid in some ornamental ways around the windows and doors. The overall effect, though, is not especially impressive. Massive in volume, the building seems to have grown through small eruptions on the exterior. Who could predict that inside the building is an architectural geode? 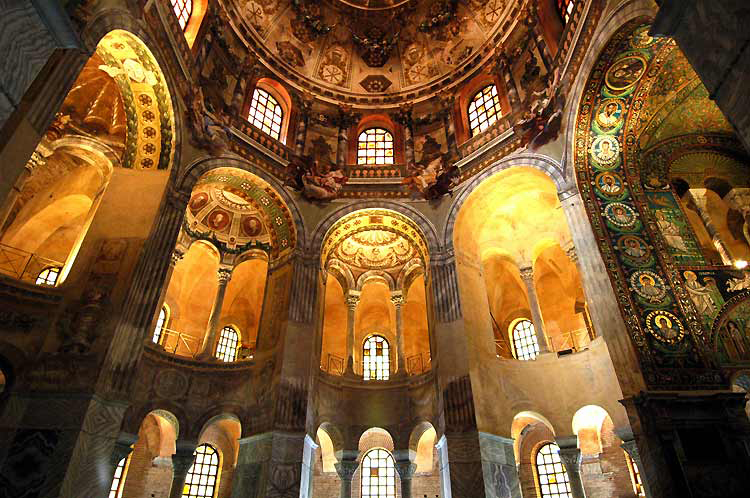 Gold mosaics adorn almost every surface. Arches with columns punctuate the building. Light shines in from the windows piercing the walls. 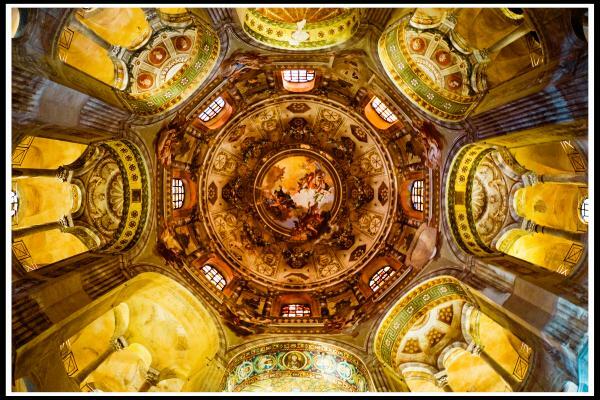 Emperors, attendants, angels, Jesus and more look down from walls, ceilings and domes. The exterior of the building symbolizes the world, while the building's interior represents heaven. Inside. Outside. Physical world. Spiritual world. It's what's on the inside that sets the stage for the people's relationship with God. That's what Jesus was saying. Walt Disney World? Yep, Epcot specifically. 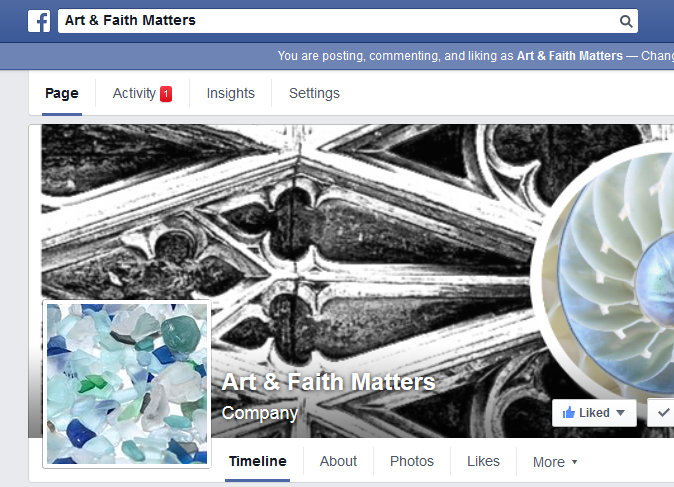 Hear one reader's response to this post on the Art&Faith Matters Facebook page. For thoughts on Song of Solomon 2:8-13, click here. Thank you so much!!! What great images. I hope you do not mind if I use them in my sermon. I am delighted that the blog can be helpful. It is a beautiful building, isn't it?